Without a doubt, Apex Legends has swept most of the battle royale games right now. It has been continuously doing a great job of acquiring new players every day. As of writing, Respawn Entertainment has confirmed that the game already hits more than 25 million players since its launch last week. With its huge fan base, many are asking when will be the update that includes accessories and skins for the Legends. 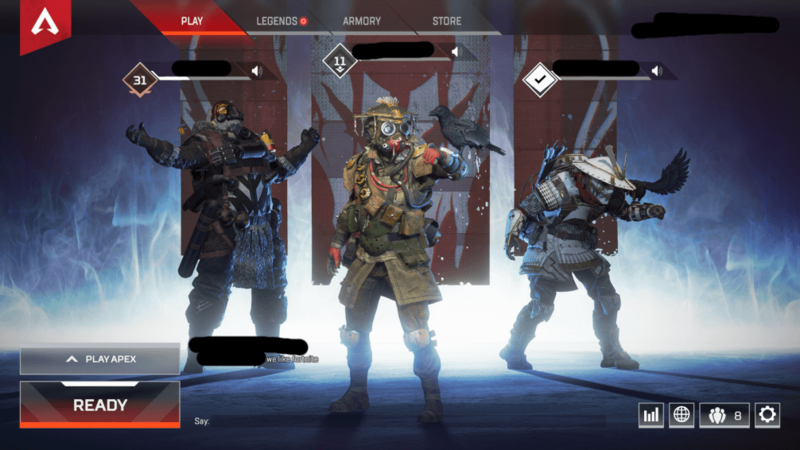 While no announcement has been confirmed yet, an unreleased Bloodhound skin was spotted after Apex Legends faced some in-game glitch. On a report posted on Reddit, user Seasonics40 has shared the a screenshot of the Bloodhound skin which looks like a White Samura version of Bloodhound along with its iconic crow. Some say that this is not real, but apparently, another Reddit user also shared the same screenshot of the leaked Bloodhound skin that supports the previous leak report. As of writing, there is still no official words from Respawn Entertainment about this rumored leaked Bloodhound skin. Whether or not this skin is real, it’s still an exciting moment for Apex Legends fans to seeing an epic-looking Bloodhound skin. Earl is one of those gamers who will play almost any new games. But he more prefers playing FPS and open world games.